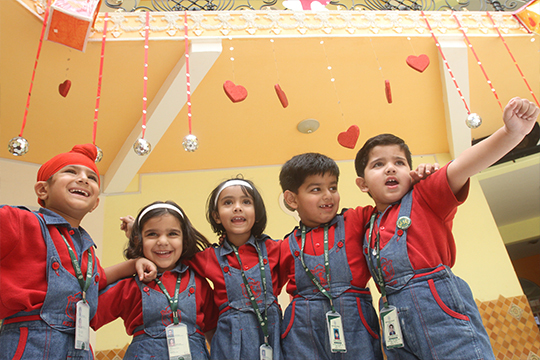 DPS Kidszone Bhopal includes classes for Pre Nursery, Nursery and Prep children which cater to the age group between 2+ to 4+ years old. The admission process begins somewhere in month of October-November. The advertisement for the same can be checked in esteemed daily or on the Website. The number of seats for the opening classes are limited. Each child who registers for DPS Kidszone Bhopal gets an opportunity for an interactive session at the school premises. An informal interaction with the parents is also conducted Parents may collect the form from the school or can also submit it Online. The New Session commences in the month of March every year.